Located in the 8th arrondissement, the Champs-Élysées is a famous avenue in Paris. It's renowned for its beautiful tree-lined sidewalks, filled with luxury brands and restaurants, theatres, cafes, and more. 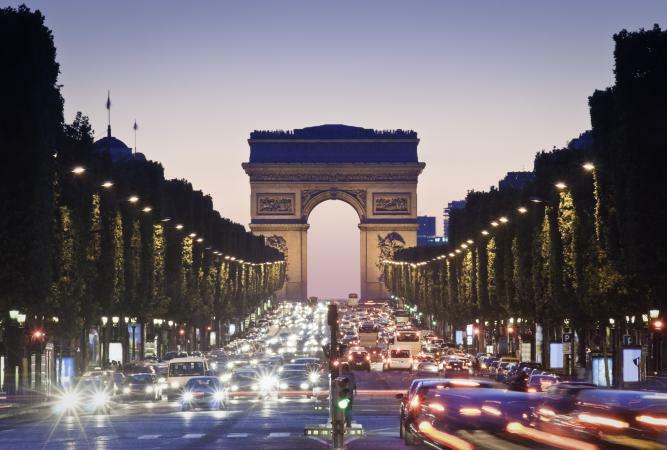 It's also home to the Arc de Triomphe, one of the city's most popular tourist attractions. 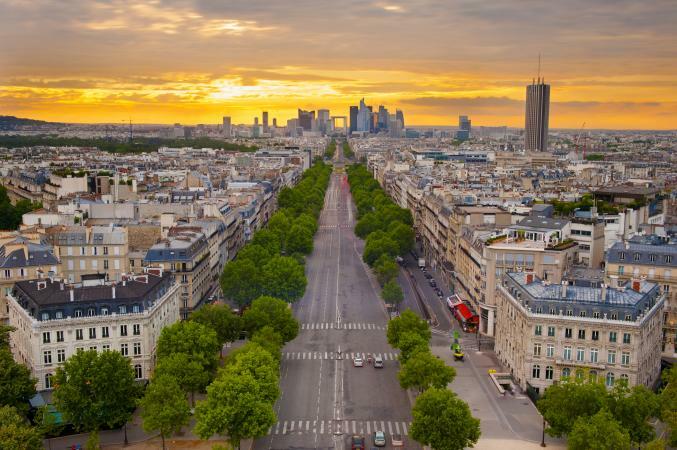 Considered one of the world's most famous streets, the Avenue des Champs-Élysées stretches only 1.17 miles from the Place de la Concorde in the east to the Arc de Triomphe in the west. The Champs-Élysées originated in the 17th century. Queen consort of France, Italian-born Marie de Medici ordered an avenue of trees to adorn the newly stretched boundaries of the Palais des Tuileries' gardens. From these origins of being a mere boundary, the Champs-Élysées soon grew as an important throughway in Paris. It wasn't until 1828 when the avenue was officially declared municipal property in Paris, which is when the city gave the go ahead for fountains and gas lamps. By the end of the 19th century, it was gaining a reputation as a fashionable avenue, a reputation it still upholds to this day. One of the city's most noted events took place there in 1940 when German troops marched down the Champs-s to celebrate France's fall during World War II. It was four years later that American soldiers made a similar march to celebrate liberating Paris and the end of the war itself. The avenue has continued to grow and Paris even widened the sidewalks in the 1990s to help accommodate the high influx of visitors and residents. The President even stays at the Élysée Palace, which is just nearby. It comes as no surprise that rents are some of the highest here with some buildings charging $1.5 million and up annually for around 1,100 square feet of space. 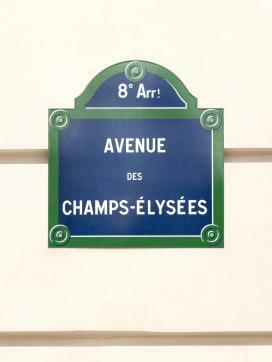 The name "Champs-Élysées" is French for the Elysian Fields from Greek mythology where the dead heroes are believed to go. In France, it's often referred to as "La Plus Belle Avenue du Monde," or the most beautiful avenue in the world. The avenue is home to several landmarks and points of interest. 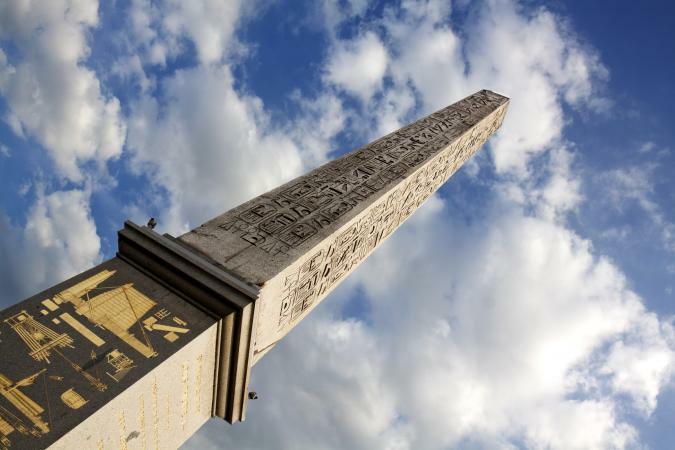 Obelisk of Luxor: This ancient Egyptian obelisk was one of two that Ramses II had set up at the Luxor Temple. It arrived in Paris in May 1833 and was raised by October 25th of the same year. Arc de Triomphe: Built between 1806 and 1836, it's located at the center of the Place Charles de Gaulle, also known as the "Place de l'Etoile." The Arc de Triomphe honors those who fought for France, especially during the Napoleonic Wars. There is a Tomb of the Unknown Soldier from World War I, which has a Memorial Flame. Jardins des Champs-Élysées: The beautiful Jardins des Champs-Élysées date back to the 17th century, but the gardens seen today were changed in 1840. It is definitely worth wandering around to see the beautiful flowers, trees, and sculptures. Place de la Concorde: The Place de la Concorde is the biggest public square in Paris and separates the Tuileries Gardens from the beginning of the Champs-Élysées. The modern day Champs-Élysées is a vibrant spot for shopping, eating, and people watching. The shops have been governed by a group called Syndicat d'Initiative et de Défense des Champs Élysées since 1860. This was upgraded in 1916 when companies such as Louis Vuitton joined together to maintain the reputation and promote the famous street. Some of the finest fashion boutiques still adorn this popular Paris street. Visitors who enjoy buying or merely browsing through some of the haute couture France offers regularly flock to the Champs-Élysées. The promenades are also laced with a selection of bistros and restaurants, offering a variety of foods for hungry passers-by. From haute cuisine to fast food, there are vendors and restaurants offering wares of all kinds. Parisian bars and cafes also adorn the streets, offering visitors the chance to quench their thirst while watching the world go by. Ladurée: This iconic French bakery is known for its delicious pastries. Ladurée was founded in 1862 and its first tea room opened in 1930, which is where they invented the macaron. The Champs-Élysées location opened in 1997 and is extremely popular with visitors to Paris wanting to try the famous macarons. Le Fouquest: What started as a coachmen's bistro is now a popular stop due to its history as a hangout for French biplane pilots during World War I. Don't miss Le Fouquet's wall of golden plaques that celebrate the French version of the Oscars, called the Césars. Paris by Mouth has a good round up of restaurants that are decent and consistent around the Champs-Élysées. Time Out Paris is another good resource for more food options along the avenue. Consider a visit to Le Lido if you're interested in a nighttime theater show. Their show Bonheur ran for over 10 years and now Paris Merveilles recently debuted after a big €25 million renovation. It's one of the few historical upscale nighttime spots that survived what's been termed the modernization of the Champs-Élysées. The Champs-Élysées is also a great place to catch a movie. Theaters like Cinema Balzac are hot spots for film enthusiasts and cinematography fanatics. Hotel des Champs-Élysées: The Hotel des Champs-Élysées is an Art Deco hotel that has been run by the same family since 1930. It is located minutes from the avenue and a variety of other tourist attractions in the area. Rates are pretty reasonable with a regular double room starting at €176 for two people, breakfast included, for a weekday in August. Paris Marriott Champs-Élysées: Located directly on the Champs-Élysées, the Paris Marriott Champs-Élysées is a 5-star hotel offering beautiful views of the avenue. Be sure to check out the Paris skyline from the hotel's terrace. Rates for a weeknight in August start around €399 if you're a Marriott member. Four Seasons Hotel George V Paris: If you really want to splurge, the Four Seasons Hotel George V Paris is located very near the Champs-Élysées and offers stunning city views, luxury spa experiences, and Michelin-star dining. Rates start around €833 for a twin room for an August weeknight. There are numerous events and celebrations in which the French customarily flock to the famous boulevard. The annual Bastille Day celebrations are held on the grand avenue each year. The French citizens, along with the President of France, join to celebrate the day in which French partisans stormed the famous Bastille prison - an event that triggered the French Revolution. This large procession, which includes a review of the French troops by the President, takes place each year on July 14th. The Tour De France, the world's most famous bike race, traditionally ends along the Champs-Élysées. Since 1975, this has been the conclusion for the final stage of the famous race, despite the road's cobbled surface being distinctly uncomfortable for the riders. If you're lucky enough to visit near Christmas, the avenue is always beautifully decorated and filled with Christmas market booths and vendors. Summers, especially on the weekends, are some of the busiest times to visit the Champs-Élysées. Consider going on a weekday and/or visit during the morning when the stores are first opening. Avoid European holidays, especially French holidays, unless you want to enjoy the big crowds for events like Bastille Day. Some people have argued the addition of many "modern" shops and fast food joints have cheapened the avenue. However, it's still very pricey, especially when it comes to food. If you're on a tight budget, explore the area but look for dinner away from the avenue. Along the same lines, hotels in prime locations like this tend to be extremely expensive. Budget-minded travelers should look for accommodations elsewhere in the city to help save some money. Like other areas of Paris, pickpockets are plentiful here, so be on the lookout. Also be wary of people that seem overly eager to help you take pictures in front of landmarks like the Arc de Triomphe. They may wind up running off with your gear. Always exercise the same common sense as you would traveling elsewhere in the world. No visit to la Ville Lumière (the City of Lights) would be complete without at least a short stroll down the Champs-Élysées. 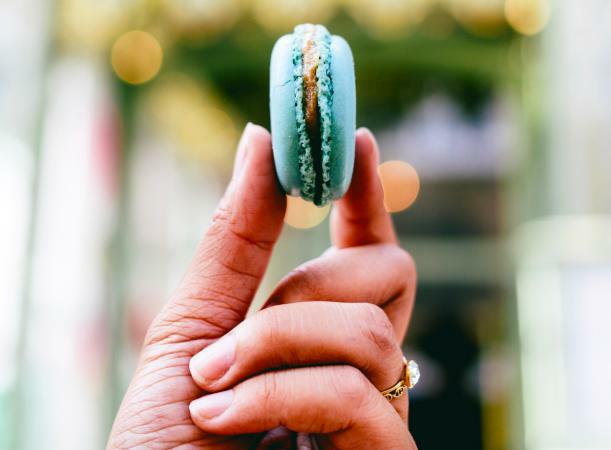 Gaze upon the Arc de Triomphe, indulge in a macaron or two at Ladurée, and window-shop at some of the world's top fashion boutiques.